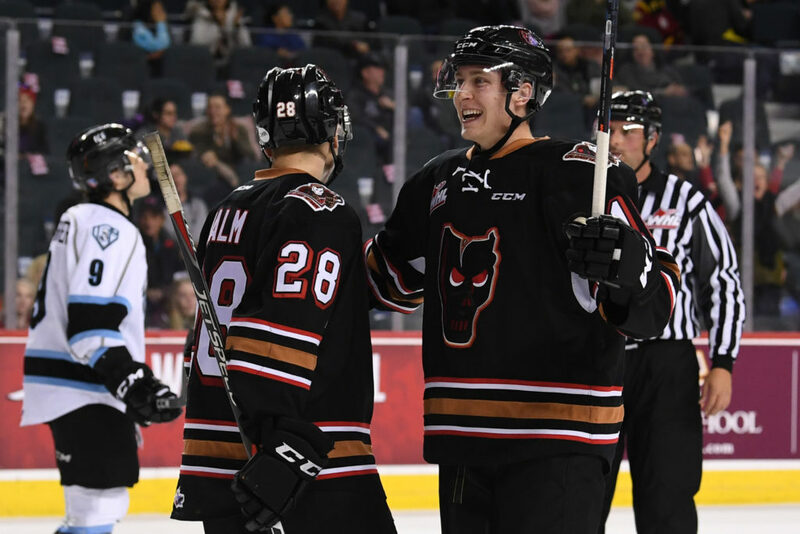 After opening up a three-in-three weekend with a thrilling 3-2 overtime win over the Brandon Wheat Kings Friday night, the Hitmen hit the road to take on the Kootenay ICE Saturday in Cranbrook. In the victory over Brandon, Riley Stotts scored 2:09 into the extra session for the home side with Mark Kastelic and James Malm adding single markers. 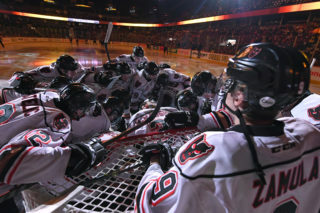 Jack McNaughton made 19 saves to secure the win for the Hitmen who are riding a three-game win streak. 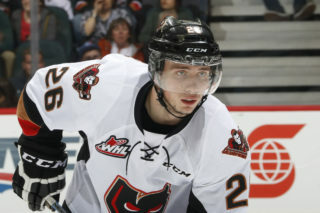 Saturday night is the fifth of six regular season meetings between the Hitmen and ICE. Calgary is 3-1 against Kootenay having outscored the ICE by a combined 19-9. 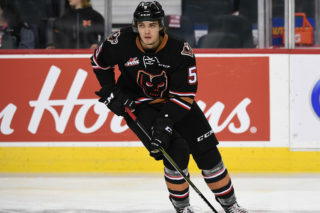 Carson Focht (1G, 4A) and James Malm (1G, 4A) lead the Hitmen in the season series with five points each while Jake Kryski (3G, 1A) and Cael Zimmerman (4A) are next with four. After a nine-game losing skid was snapped Friday with a 5-3 win over the Swift Current Broncos, the ICE have just seven more games to be played in Cranbrook before the club relocates to Winnipeg next season. 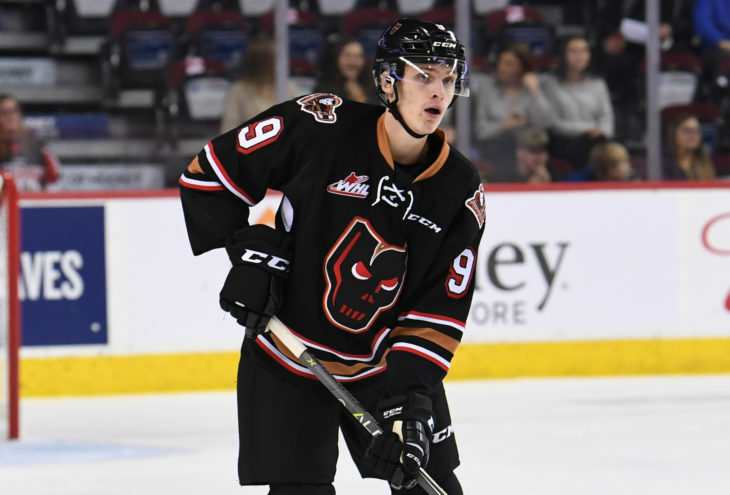 With the two games this weekend, the chapter will come to a close on the historic rivalry between Kootenay and the Hitmen over the past years. 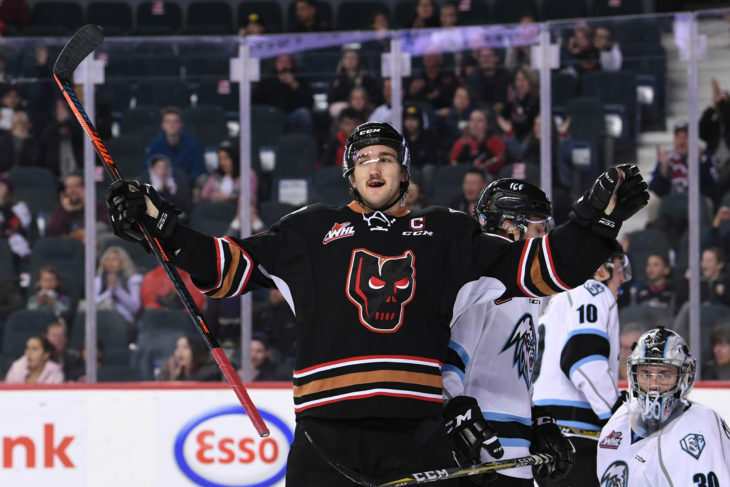 The two points picked up by the Hitmen in their last outing proved to be crucial as they now sit four points over Red Deer for third in the Central Division, and six back of Lethbridge for second. With the number of games left to play down to just seven, now more than ever is it important to make every game count. “There are a lot of big games for us coming up,” Kastelic said. “All our focus is the present and whatever happened in the past is just a distant memory that we can’t worry too much about. 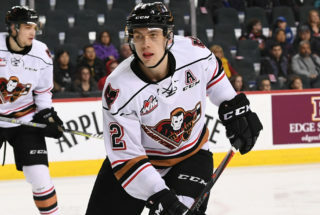 Sunday will see the Hitmen wrap up the weekend in the RE/MAX Presents: WHL Suits Up with Don Cherry to Promote Organ Donation, wearing special Don Cherry-themed jerseys, to conclude the season series with the ICE. Three Hitmen take four-game point streaks into tonight’s game: Carson Focht (4G, 7A), James Malm (5G, 4A) and Egor Zamula (6A). Luke Coleman (2G, 2A) and Riley Stotts (1G, 4A) are both on three-game point streaks. Mark Kastelic (2G, 2A) has points in back-to-back games. 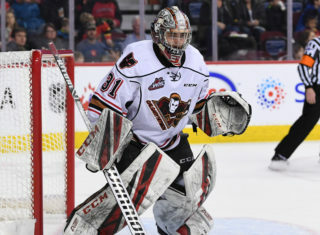 Jack McNaughton has won his last three starts posting a 1.98 goals against average and .897 save percentage.